Biography Of Bishop Gideon Titi-Ofei, Ghanaian born pastor and an entrepreneur. Bishop Gideon Titi-Ofei is a Ghanaian born pastor and an entrepreneur. His father, Mr Titi, of blessed memory, was a priest of the Methodist Church. Another, he was consecrated a Bishop by Archbishop Nicholas Duncan-Williams, Bishop Gideon Titi-Ofei’s mandate is to develop leaders from the church to the world and win leaders from the world to the church. As a result, He is the President & CEO of Almond Institute, a Christian University accredited in Ghana by the National Accreditation Board to offer globally recognised postgraduate, undergraduate and professional programmes and affiliated to Kwame Nkrumah University of Science and Technology and the Australian Institute of Business (AIB), the Presiding Bishop of The Pleasant Place Church, a member of the National Peace Council of Ghana and President of TITI-OFEI MINISTRIES, a multifaceted ministry comprising Pastors Mentoring Pastors, League of Pastors, Pleasant World Media and Pastoral Leadership Institute. Even more, Bishop Titi-Ofei as a Pastoral-Entrepreneur is a Group CEO of TITI-OFEI GROUP, a group of world class educational institutions including, Almond Institute, Graduate School of Governance and Leadership (GSGL), Boardroom Institute, International Organization for Capacity Building – London (IOCB) and African Diplomatic and Policy Institute. Furthermore, Bishop Yoofi Titi-Ofei is seen as the leader of the next generational of leaders in Ghana. An astute leadership coach, motivational speaker, a thinker, entrepreneur and a writer. Also, Bishop Titi-Ofei is recognised in Ghana as a scholar on contemporary leadership and holds regular leadership training for leading organisations in Ghana. 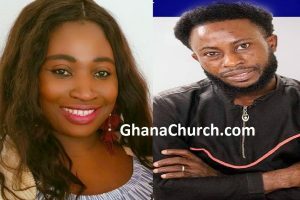 Hence, He has been described as a pastor without walls, a reference to his success both in the church and the corporate world. Titi-Ofei is featured regularly in the 100 most influential people in Ghana. Bishop is married to Lady Olivia Titi-Ofei for 23 years. They are blessed with 4 children.